What is R? R is an open-source, statistical programming language that is increasingly becoming the lingua franca of modern data analysis. R developers have created over 4,000 packages to run in the R environment, including several dozen developed by Googlers. We continue to work with the R community through conferences, meetups like this one, Faculty Research Awards, and the annual Google Summer of Code program, which funded 16 students to work with the R Project this summer. 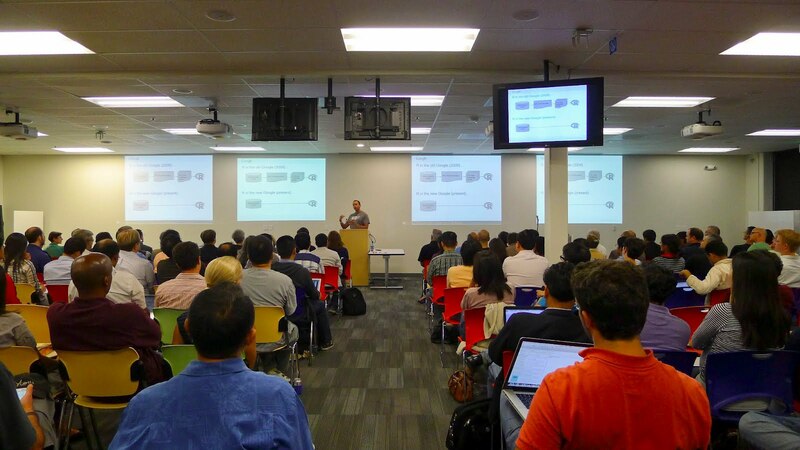 Last week, Google hosted the Bay Area useR Group (BARUG) at our Mountain View HQ. 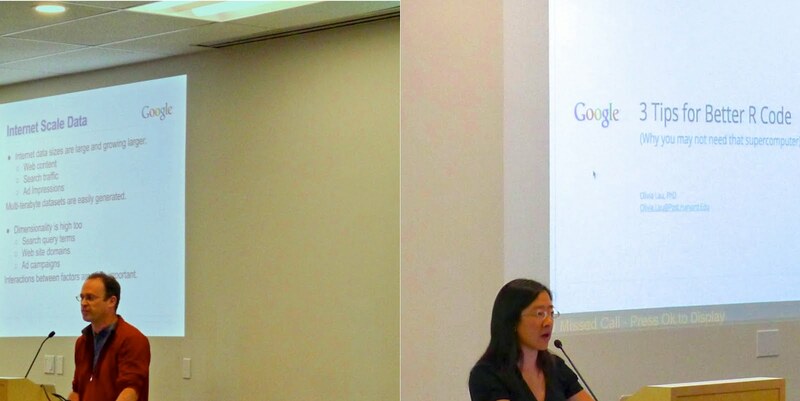 Over 130 R users and developers met for pizza, networking, and presentations by Googlers. This was our third time hosting a BARUG Meetup at Google. Last year we hosted meetings in both Mountain View and San Francisco. Last week’s meetup topics included an overview of the integration of R into Google’s engineering systems by Sundar Dorai-Raj (above), exciting new work serializing R to run over Flume by Karl Millar (below left), and tips for better R code by Olivia Lau (below right). To leave a comment for the author, please follow the link and comment on their blog: Google Open Source Blog.